The religious tradition of the Jainas, unique in many respects, presents a fascinating array of doctrinal and social structures that stem from the anti-vedic movements of ancient times. Drawing extensively on primary sources, Professor Jaini provides a comprehensive introduction to the Jaina experience. 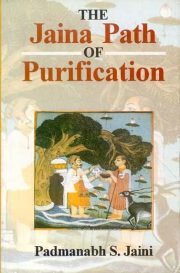 Beginning with the Life of Mahavira the author elucidates the essentials of Jaina cosmology and philosophy as well as of the "path of purification" through which the soul may escape from its Karmic defilements and attain eternal salvation. This path constitutes the integral element within the broader frame-work of Jaina literature, lay ritual and the socio-historical factors, which enabled Jainism to survive and prosper to the present day. In particular, the author has examined the cardinal doctrine of ahimsa (non-harming), both in its impact upon Jaina religious consciousness and as a standard in applying its sacred principles to the conduct of every day life. PADMANABH S. JAINI is Professor of Buddhist Studies at the University of California at Berkeley.Previously he has taught at the school of oriental and African studies, London and the University of Michigan, Ann Arbor.